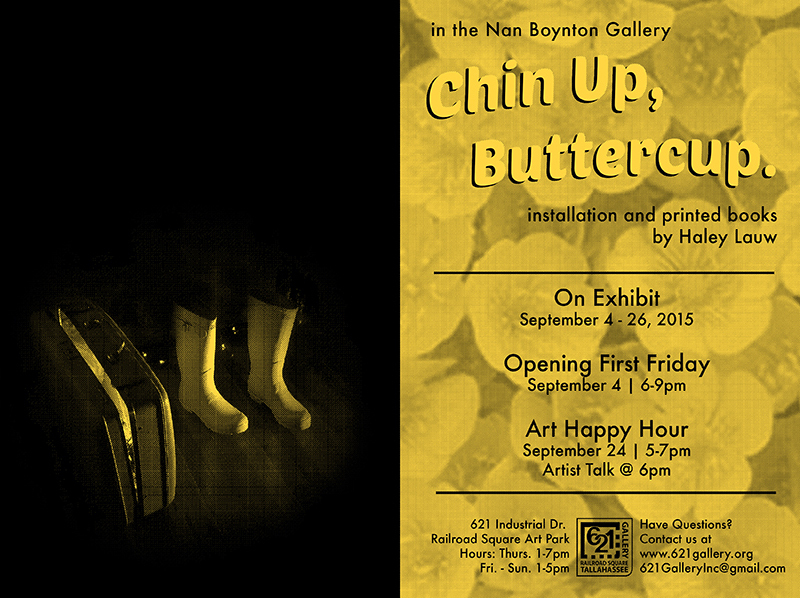 Haley Lauw exhibits her installation “Chin Up, Buttercup”, in the Nan Boynton Gallery at 621 Gallery for the month of September. The installation, consisting of both found and fabricated objects, illustrates a personal thunderstorm — lightning included. The exhibition also features an edition of 50 handprinted books which unfold to reveal motivational posters. Books will be available for purchase via the 621 Store.